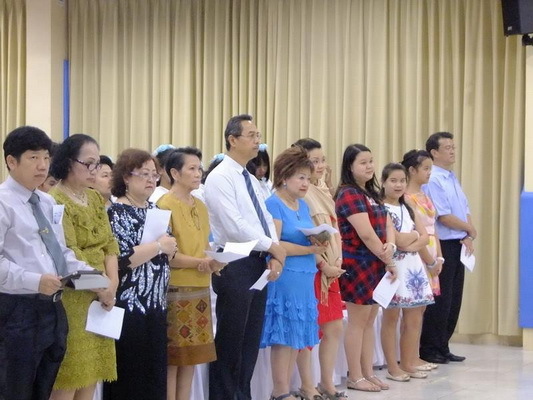 Madame Dr Theresa Viratchani Phromsuntorn and her family members at St Theresa International College hosted this year’s the “Holy Rosary Prayer and Eucharistic Celebration” at Joseph Marie Building on October 29, 2015. 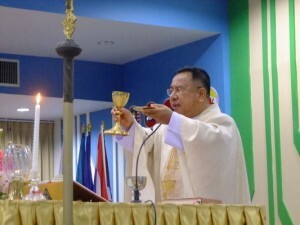 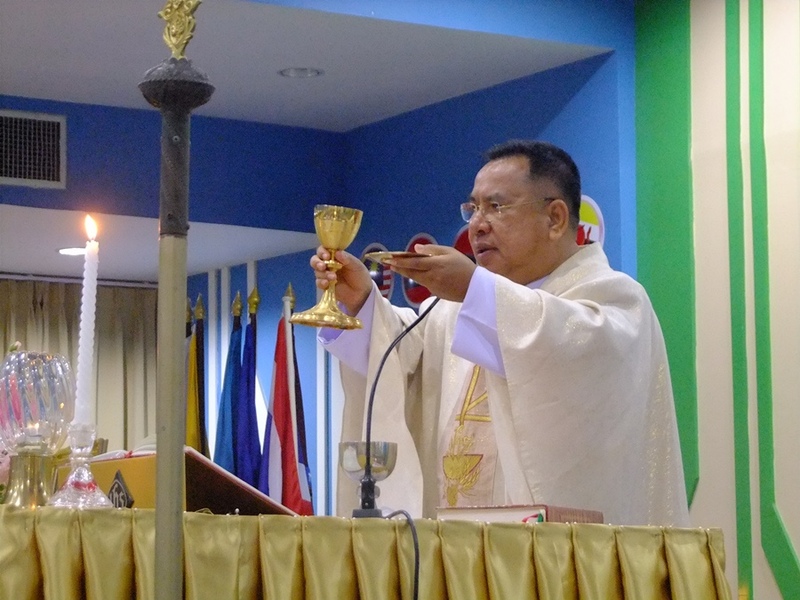 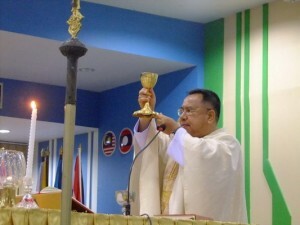 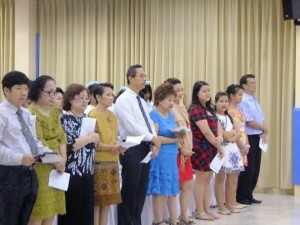 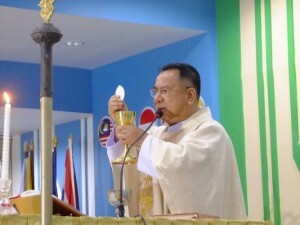 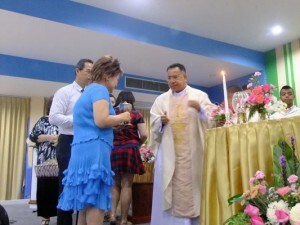 This event marked the closing day of “ Rosary Month “ and then the ceremony and celebration were organized and participated by many hundreds of public from Ongkharak District, Nakhon Nayok province as well as lecturers and staff of St Theresa . 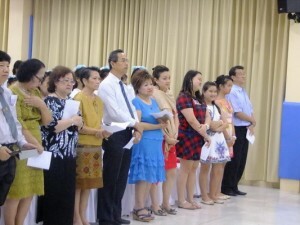 They gathered at the event and followed by a dinner treat.